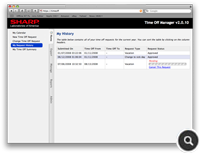 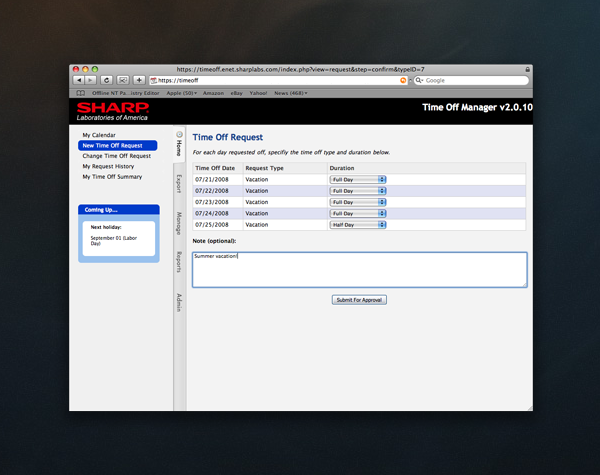 Sharp Labs needed a new web-based paid time off system for scheduling, approval routing, calendaring support, and reporting capabilities. In addition to providing the application needs, it also needed to work with their existing network infrastructure. 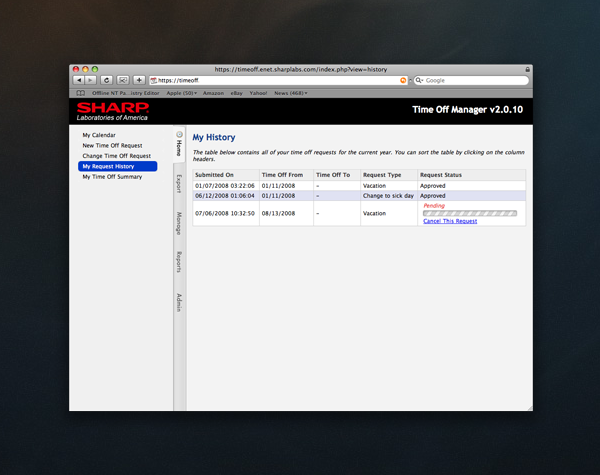 Leveraging LDAP (Active Directory in this case), combined with a replication layer that I developed to synchronize employee information with a MySQL database, the application is maintenance free - automatically receiving changes to existing employees as well as adding and removing employees as well as managers and departments by using the standard network administrative tools provided for Active Directory. Reports can be generated on-screen with sortable tables or exported to Excel. 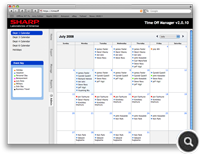 The calendaring capabilities utilize the standard iCal format, with support for individual calendars, departmental calendars, and holiday schedules. The end result is an end-to-end management system responsible for calculating accrued vacation, and handling time off requests for vacation, sick time, military duty, jury duty, bereavement, and business travel. 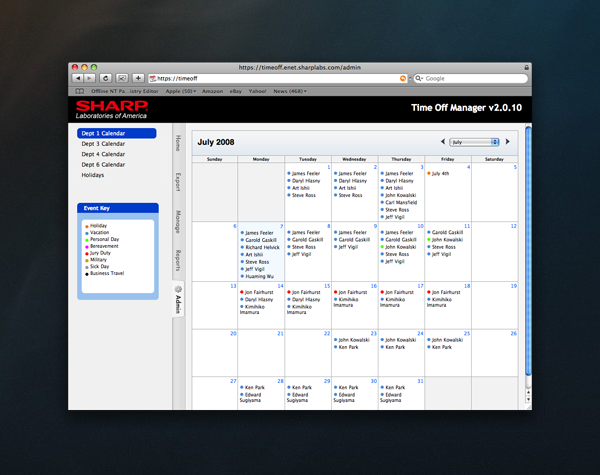 Headquartered in Camas, Washington and a cornerstone of Sharp Corporation's global research and development network, Sharp Labs' fundamental and applied research feeds Sharp's vast appetite for technologies that not only are innovative, elegant and practical - but that by design improve the quality of life for people throughout the world.